We're proud to present the first product in our new line "Sounds for Synths": 128 256 galactic sounds for the Dave Smith Instruments Evolver series. 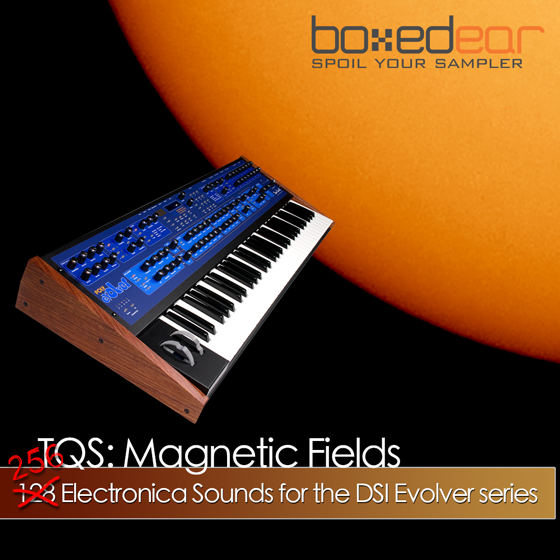 We love the Evolver at Boxed Ear. It's a modern classic. Digital wavetables mix with analog oscillators, filters, sequencers, LFOs and delays to create a powerful yet vintage sounding synthesizer that stand up there with the greats. This amazing bank has been designed by space obsessed electronica outfit Two Quiet Suns. Every sound has been designed with one thing in mind, playability. You won't find monstrous one-note techno jams, just useful musical patches throughout. The bank is full of organic leads, vintage basses, luscious evolving pads and otherworldly atmospheres and every patch is designed to be expressive and musical. Believe us, these sounds are a joy to play. Expand your horizons with this stellar new sound bank for DSI Evolver. 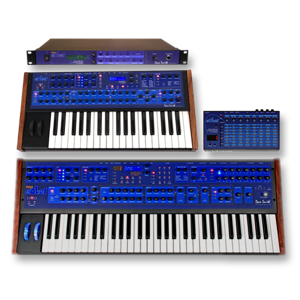 Compatible with Desktop Evolver, Mono Evolver Keyboard, Poly Evolver Keyboard and Poly Evolver Rack.